Team building Bristol is something we have been running for many years and we have now built up an impressive portfolio of previous clients including Red Bull, The United Nations Foundation, Dyson, Sky, Virgin Media, Hotel du Vin and many more. Our experiences running sessions for such a variety of clients at our central Bristol location or for special events at the client’s location, means we are able to consistently deliver positive and successful results. Our aim is to make sure that all your needs for an unforgettable day are taken care of. 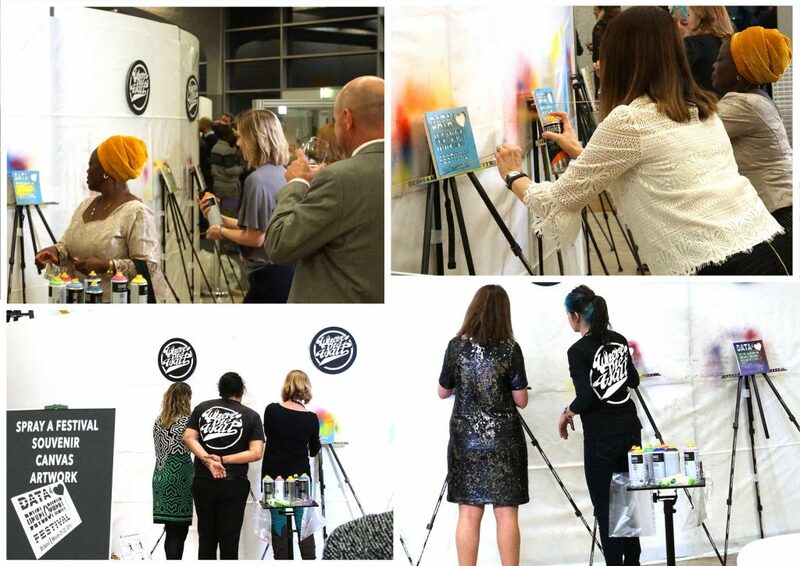 Our street art experiences, hosted by our experienced leaders, are flexible, varied and provide a friendly and creative environment to learn, create closer working-relationships and have fun. By doing team building activities together your group will form bonds that will translate into increased productivity, performance, engagement and passion. As you can see we provide various team building ideas for you and your group to engage with. This is a unique team building experience. Team building activities are a great way to provide a valuable experience for your company and staff. We cater to you and will work with you to create the most effective team building activities for your group. Team work is essential to the prosperity of any company and through this street art team building day, you will be fostering a stronger sense of cooperation and identity. Whether you are a large, medium, or small-sized organisation, we have the perfect team building away day experience for you or your event. Come Team Building Bristol! Our team building days encourage innovation, creativity, and team work. For one of our client specialists to get in touch with you personally, please enter your name, email address and optional message into the contact form provided, and we will contact you shortly. Unique experiences in the UK’s home of contemporary creative culture, Bristol. Activity 1 : “Get Sprayin!” and spray stencil art. A fun session for everyone that can include a Bristol Street Art Tour too. Using our laser cut stencils, everyone sprays an art print of 59cm by 42cm, based upon Banksy art and stencil art. The session can also include a 1 hour or 2 hour private Bristol Street Art Tour. This is a fun and relaxing session. Introductory instruction and guidance from a street artist. Everyone participates, activity is for all creative levels and confidences. This activity builds a friendly and convivial bond. Participants get to take away their very own street art stencil artwork. This activity can also include a Bristol Street Art Tour, making a whole morning or afternoon activity. Activity 2 : “The Street Art Stencil Challenge”. Bringing the team together through art and co-operation in a fun mini-team challenge activity. Working in small teams of around 3 people, each team embarks upon the challenge of spraying a giant stencil artwork. This follows on from a look into the history of stencil art, from cave paintings to Banksy art, and detailed explanation on can control and best practices when spraying. After trying out with test stencils, the group is divided into smaller teams who then embark upon ‘the challenge’. Once all finished, the groups are brought back together, the giant artworks exhibited, with everyone humorously examining each others output. This is a fun, light-hearted, relaxing and bonding experience, and it has a strong Banksy theme running throughout. Perfect ‘ice-breaker’ for developing new communication amongst the team. ‘Chat while you paint’. Participants embark upon a challenge and through co-operation accomplish an impressive output. This activity could be customised to include your own business message or theme.